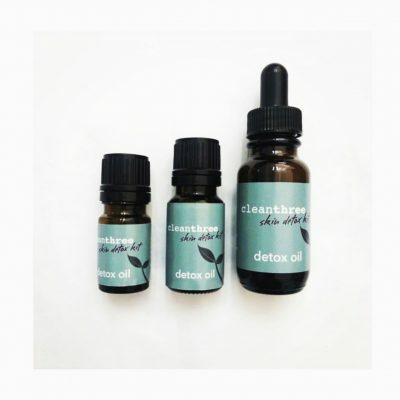 You would probably expect that our Clean 3 essential oil blend was made up of three essential oils. As clinical aroma therapists we simply couldn’t negate the elements needed to create and intensify the ultimate skin detox blend. So you’ll find four of the most fundamental and cherished oils that work to reconnect the sub layers of your skin and to move toxins out. Clean 3 organic is made up of rosemary, bergamot, roman chamomile and geranium. Why did we choose these oils for Clean 3? ROSEMARY:The champion for acne and toxic skins. Stimulates circulation, increases bloodflow and aids in detoxification. It is also super uplifting and invigorating! BERGAMOT:The BEST skin cleanser! It encourages healing and works to settle that nervous tension that is the underlying cause of most skin upsets. ROMAN CHAMOMILE:Calming and soothing this oils relieves and restore inflammation. Its especially good with irritated skins like eczema, dermatitis and rosacea. GERANIUM:works to balance the physical, emotional and hormonal causes of irritated skin providing harmony and balance for the sebum production for all skin types.